This discussion will present a biographical analysis of African-American entertainer Pearl Bailey, who was in her lifetime a polarizing figure within the African-American community. A research paper on a famous artist discussion will present a biographical analysis of African-American entertainer Pearl Bailey, who was in her lifetime a polarizing figure within the African-American community. Although her talents allowed Bailey to undertake and achieve many significant accomplishments, her public persona embodied many of the elements often viewed as stereotypically derogatory to Black women, including unbridled lasciviousness and, later in life, aphoristic, homespun wisdom. While a chronological overview of Bailey’s life and accomplishments will be recounted, emphasis will also be given to Bailey’s creation of a public persona over her career and the deeper meaning of the construction of her performative self. She began singing publicly at various community functions in Philadelphia, where the family had relocated after a period living in Washington, DC. Her popularity, self-confidence, and ability increased significantly while she was in her early teens, leading Bailey to make the decision to leave school to pursue a career in entertainment. While she initially concentrated on dancing, Bailey quickly expanded her repertoire to include singing and performing in musical theater. She also achieved a wider degree of renown through several albums she recorded with popular bandleaders Cootie Williams and Count Basie. She recorded several albums with each. Soon afterwards, Bailey made her Broadway and film debuts. Throughout the 1950s, Bailey continued to perform on Broadway and in films, appearing in numerous notable productions during this period. However, by the 1960s, Bailey returned her focus to small-venue nightclub performances, stating that she felt most comfortable and fulfilled in these venues. Near the end of the decade, Bailey left the security of the nightclub setting when she earned the role that would stand as one of her most renowned performances, namely, as matchmaker Dolly Gallagher Levi in an African-American production of Hello, Dolly! After several years on Broadway and in a touring company, Bailey starred in an eponymous variety show that was televised for several months in 1971, although the program was cancelled soon after its debut. During the heady period of the late 1960s when her performing career was at its peak, Bailey also began writing autobiographical books, a pursuit she would continue throughout her lifetime. Her works included several memoirs with differing thematic focuses, as well as a cookbook, all of which had an inspirational, epigrammatic style. Even as her performing career began to wind down to some degree in the 1970s and beyond, Bailey remained active and began exploring new realms of activity and interest. She completed a BA in theology at Georgetown at age 67, and was granted a special ambassadorship by the President Ford in 1975. African American Experience - African American Experience Research Paper studies female authors such as Toni Morrison, Alice Walker, and Zora Neal Hurston. 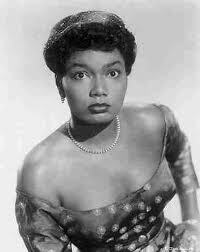 Paper Masters writes custom research papers on Pearl Bailey and explores the life of this African American performer, and the autobiographies written by her.